Naeimi Bagheini, A., Saeidi, M., Boroomand, N. (2018). Removal of Diazinon Pesticide Using Amino-silane Modified Magnetite Nanoparticles from Contaminated Water. 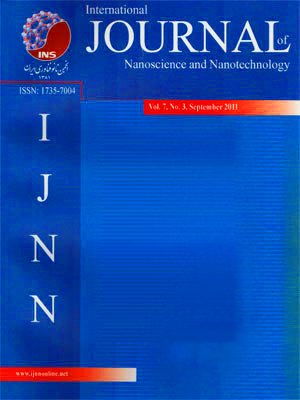 International Journal of Nanoscience and Nanotechnology, 14(1), 19-32. A. Naeimi Bagheini; M. Saeidi; N. Boroomand. "Removal of Diazinon Pesticide Using Amino-silane Modified Magnetite Nanoparticles from Contaminated Water". International Journal of Nanoscience and Nanotechnology, 14, 1, 2018, 19-32. Naeimi Bagheini, A., Saeidi, M., Boroomand, N. (2018). 'Removal of Diazinon Pesticide Using Amino-silane Modified Magnetite Nanoparticles from Contaminated Water', International Journal of Nanoscience and Nanotechnology, 14(1), pp. 19-32. Naeimi Bagheini, A., Saeidi, M., Boroomand, N. Removal of Diazinon Pesticide Using Amino-silane Modified Magnetite Nanoparticles from Contaminated Water. International Journal of Nanoscience and Nanotechnology, 2018; 14(1): 19-32. 1Department of Chemistry, Faculty of science, University of Jiroft, Jiroft, Iran. 2Department of Chemistry, Vali-e-Asr University of Rafsanjan, Rafsanjan, Iran. 3Department of Chemistry, Faculty of Agriculture, University of Jiroft, Jiroft, Iran. A magnetically recoverable adsorbent has been prepared by silica-coated magnetic nanoparticles through an amine functionality (ASMNPs). The ASMNPs were characterized by XRD, TEM, SEM, and FT-IR spectroscopy. It was used as an efficient and economical adsorbent for removing O, O-Diethyl O-[4-methyl-6-(propan-2-yl) pyrimidin-2-yl] phosphorothioate (diazinon) from contaminated water through batch experiments. The results were shown that 84% of diazinon was removed after 30 min. The experimental data of the adsorption kinetics were well described by Pseudo-second-order kinetic model (R2>0.99), and Equilibrium adsorption data could be better fitted with the Freundlich isotherm (R2>0.99). The standard free energy change (ΔG°) and standard enthalpy change (ΔH°) were indicated that this system is a spontaneous and exothermic process.